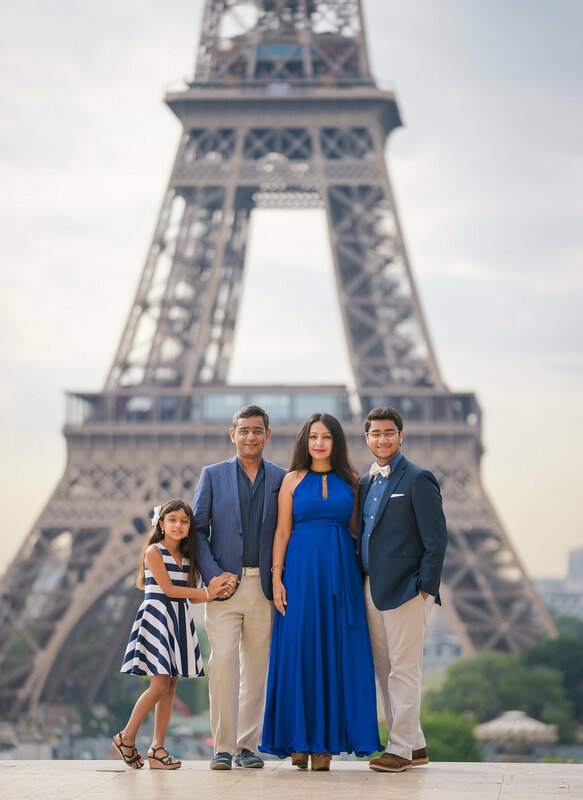 The Sneha Family brought their A-Game to our early morning photo shoot at Trocadero. 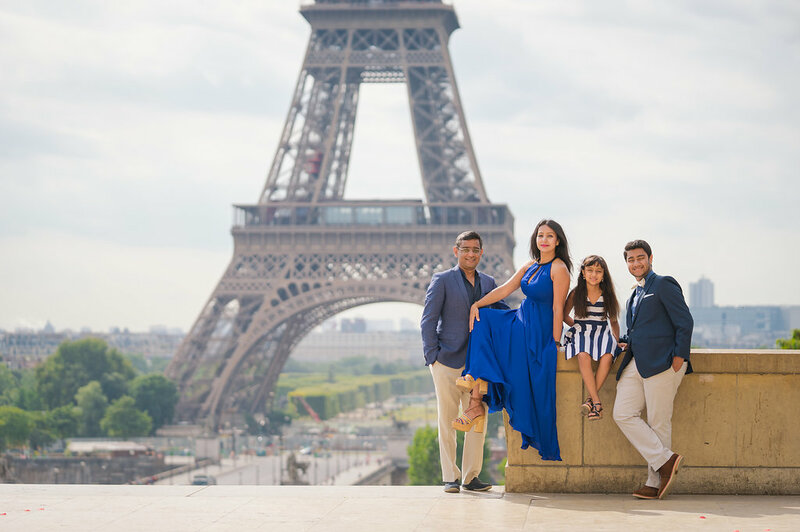 The whole family looked sharp in their varying colors of blue, white and beige. Trés trés chic! 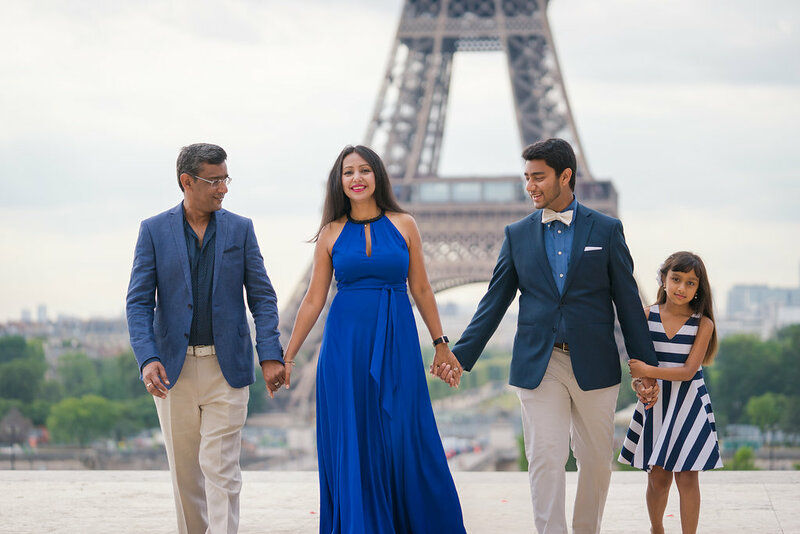 Loved these pictures – so many memories forever captured with your amazing photography! Thank you so much! Thank you for the super awesome photo shoot Lindsey!!!!! Waking up early and getting there on time was an ordeal but everything after that was magical. 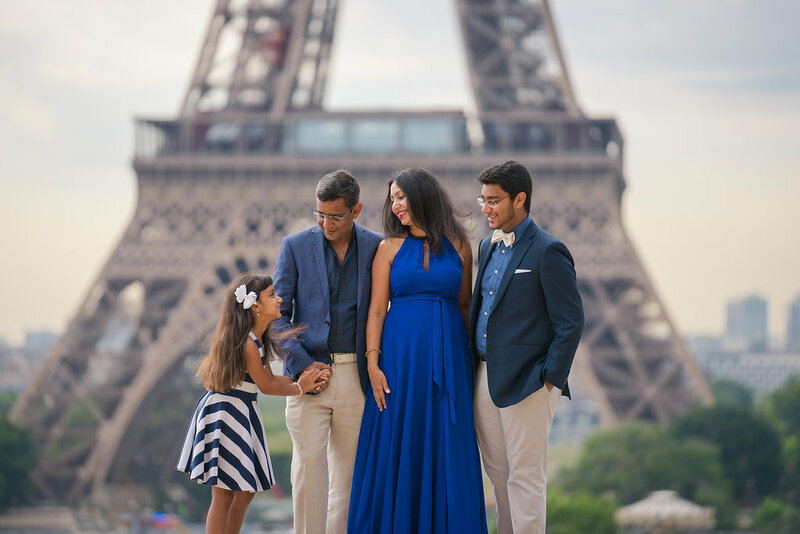 Lindsey at Pictours Paris is not only professional but also extremely engaging. 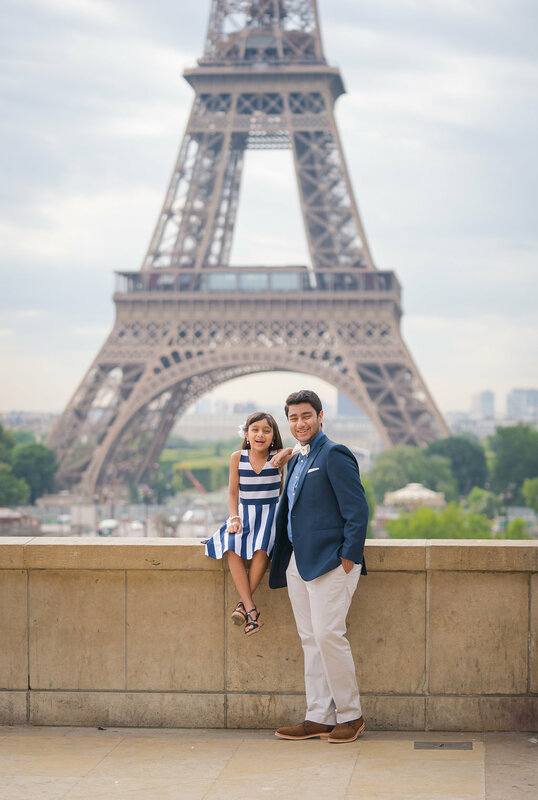 She got us completely at ease and captured precious moments beautifully. I highly recommend her services if you are in the market for making and preserving a lifetime of memories.